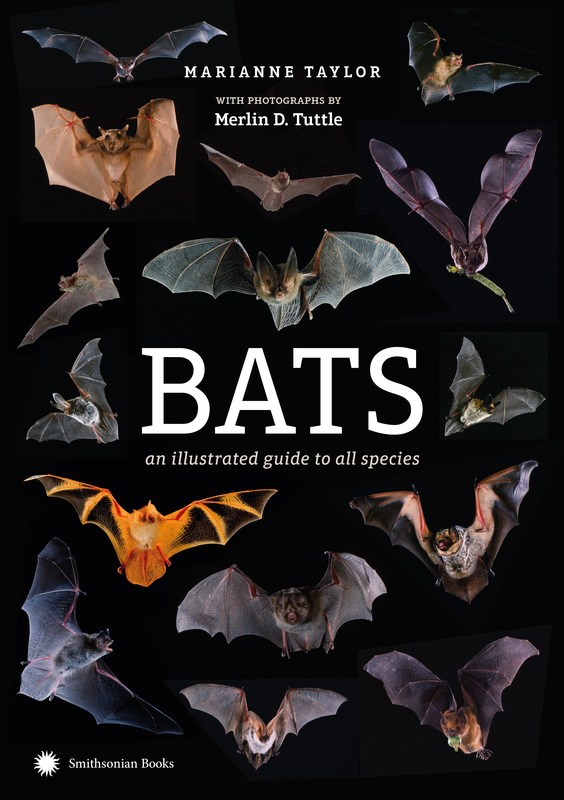 Smithsonian Books has released Bats: An Illustrated Guide to All Species by Marianne Taylor. This guide to bats, complete with photographs from wildlife photographer Merlin Tuttle, explores these creatures and their fundamental role in ecosystems. From the giant golden crowned flying fox, a megabat with a wingspan of more than 5 feet, to the aptly named bumblebee bat, the world’s smallest mammal, the number and diversity of bat species have proven to be both rich and underestimated. Nocturnal, fast-flying and secretive, bats are difficult to observe and catalog. This handbook presents bats’ evolution, biology, behavior and ecology. It offers profiles of 400 megabats and microbats and detailed summaries of all the species identified to date. Including an introduction exploring bats’ natural history and their unique adaptations to life on the wing, Bats includes close-up images of these animals’ delicate and intricate forms and faces to show them as they have never been presented before. Taylor is a writer, illustrator and photographer who has worked in natural history publishing at Bloomsbury Publishing and Birdwatch magazine and has authored more than a dozen books. Tuttle is an American ecologist, conservationist and wildlife photographer who specializes in bat ecology, behavior and conservation. His most recent book is The Secret Lives of Bats: My Adventures with the World’s Most Misunderstood Mammals.